Don’t listen to the people that tell you they watch football for the quality. These people are bores and not to be trusted. We all watch football because of drama not quality. Sure, Messi and Ronaldo are aliens and they’re fun to watch for their quality, but the rest of the time we just want drama. Group G promises plenty of it come Sunday afternoon. We would be committing a war crime to say you should miss a second of any AFCON qualifying action, but if you had to pick a day to ignore your family and friends out of the coming three days then it would be Sunday. A look at the fixtures would make you salivate at the wall-to-wall drama that could be in store, especially in Group G where none of the teams have been eliminated from the process. Congo, DR Congo, Liberia and Zimbabwe all have a chance of qualifying if they can win their games, with only a point separating each position in that group. DR Congo, who will be welcoming Liberia to the fervency of Stade des Martyrs, and Congo, who will be travelling to Zimbabwe, must win their games to qualify for AFCON. There will be tears. 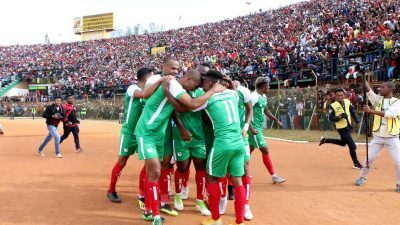 Burundi, who just need to avoid defeat to qualify, hosting Gabon on Saturday will be more than a warm-up fixture of the sort of knockout ties that will see even those that hate the international break tune in. But it is Sunday which will see the vast amount of dog-eat-dog ties. Benin versus Togo will see a win for the former confirming their qualification and a win for the latter turning the tables. At the same time, the two teams may have on eye in Blida, hoping Gambia don’t do the unthinkable and beat Algeria, who have already qualified. Tanzania meanwhile also have a chance of qualifying but they would need to win and hope Lesotho lose to Cape Verde. Marco Soares’ Cape Verde chance themselves have a chance of progressing if they win and Tanzania don’t mirror that result. The Tanzania Football Federation formed a 14-person committee a few weeks ago to maximise their chances of victory, with one of the main aims ensuring fans turn out in force in Dar es Salaam, over the already-qualified Uganda, though a win will not be enough if Lesotho also win their game. Libya against South Africa is a fitting way to say goodbye to the qualifiers: it’s a genuinely dog-eat-dog match with a win for either guaranteeing their place at AFCON 2019, regardless of results elsewhere. This is particularly relevant to the big nations as they start to think about the final 23 for their squad. Scan the squads of the teams that have already qualified and you will see the tried and tested, who have been recalled, but also the untried and untested like Yakou Meite of Ivory Coast, Herbert Bockhorn of Uganda, Haithem Loucif of Algeria and Abel Rahman Magdy of Egypt. Consciously or subconsciously, the coaches of the teams are starting to think of their squads in June and looking for the relatively unknowns unknowns to add an element of surprise to their teams. A man who takes squad construction seriously is of course Morocco coach Herve Renard, and his latest 33-man squad for the matches against Malawi and Argentina shows his intention to chop and change in search of the right players that will give him the flexibility he desires tactically. His key players won’t be travelling to Malawi, with a second string side set to wrap up proceedings and the mainstays in the team set to play against Argentina. On the other end of the spectrum, Gernot Rohr’s 23-man squad to face Seychelles includes some uncapped players but mirrors a coach that is largely set on those he will be taking to AFCON.